A good home stager will make a good impression to many home buyers. Think you know what it takes to be one? The answer can be a tad bit difficult. Home staging isn’t just about arranging a home. It’s about setting it up to attract the most buyers. Do you have the latest collection of furniture that makes buyers say, “wow”? Can you stage a home according to the latest interior design? If not, it’s best to hire a home staging company instead. You can be sure that a good home stager will set up your home to attract the most offers. You can opt to leave you home empty or show it off with your personalized decors, but you might limit yourself to a small crowd. After all, who really is interested in your bug collection as a focal point of your home? You can bet, not a lot of people. So when you’re looking for a home stager who can easily direct you, the following are questions you should ask. They can talk the talk, but can they walk the walk? You want to hire someone with a good portfolio. This gives you a sneak peek of how they’ll handle your home. Are many of their photos attractive to you? Does the home mesh together as a whole? Do you have any training background? The industry of home stagers are unregulated meaning it’s best to choose one that’s certified or has had plenty of training under their belt. Do they have any background in real estate? How many homes have they staged in the past year? How many homes have they helped sell? Do you have any specialty? 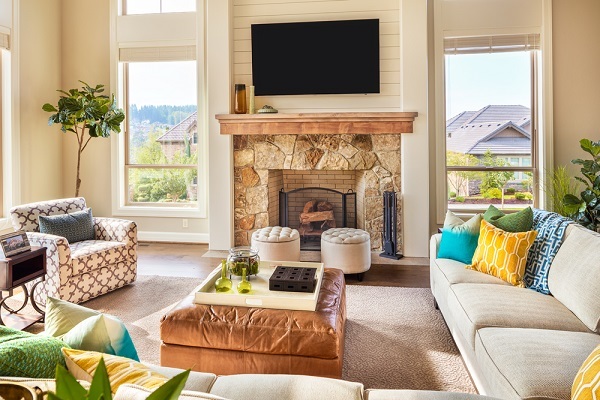 Home staging might seem like a no-brainer, but there’s a lot of thought into them. Some stagers are better with luxury homes while others are more comfortable with starter homes. You want to make sure the stager you have in mind is able to deliver in terms of your home setup. You might also want to think about whether your home stager in mind is more comfortable working on large spaces instead of smaller ones. How do you relay messages to your clients? Your home stager should be able to talk to you with compassion and professionalism. A home is a cherished establishment that requires more than just an I-can-do-that statement. No, they need to be able to represent you as a business.